For the first time in 2,5 months I was alone on the bike again and that felt good. Just me, the bike and the road ahead... 255 km of solitude. 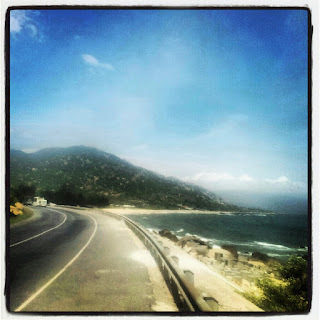 I left Mui Né direction North on a windy and scenic road to get back to my beloved AH 1 (the main coastal road). It took some time to get used to the different balance of the bike again. When you're driving it alone the backside kinda moves left and right more but I adapted to that pretty fast. 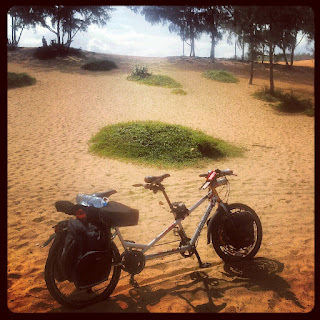 It was a beautiful but hot day and when cycling out of Mui Né I passed their famous Sand dunes. 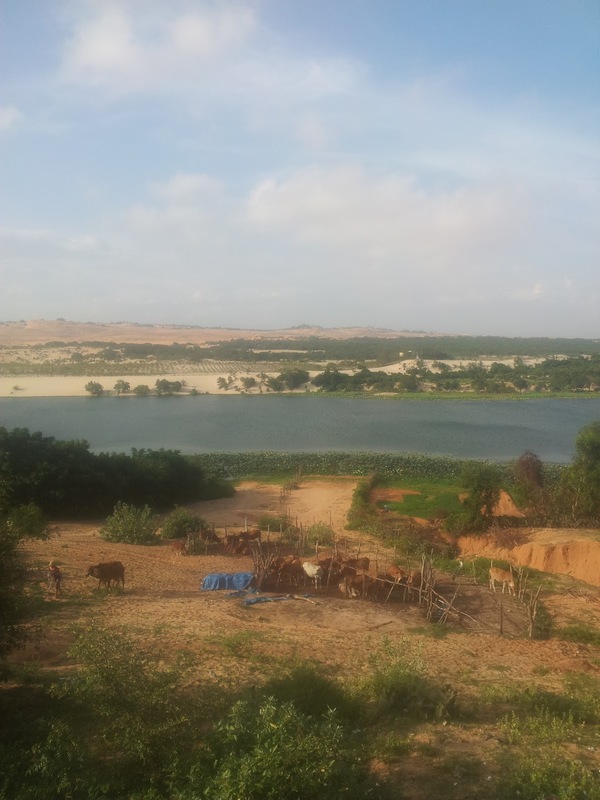 It reminded me on my time in Morocco. As it's a very touristic place there were kids around offering plastic boards to slide down the dunes. I passed on that eventhough it looked good fun. The kids were fascinated by the bike and jumped right on the back :-) I took 2 of them with me for about 100 meters and according to their laughs they enjoyed it a lot. They wanted me to stay longer but I decided to continue my journey. The road then continued with on the left of me stunning sand dunes and to my right the sea. It's the first country where I could actually easily do this and it's really one of the nicest things. I played some tunes and kept pushing those pedals. After about 30 km like this the road directed me away from the seaside and guided me to I think one of the most beautiful views I've had on my bike trip. 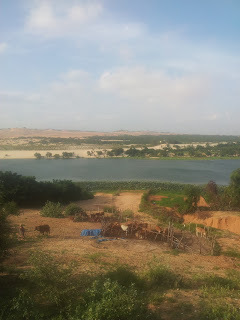 I passed 2 huge lakes surrounded by little huts, rice fields and small beaches. Leaving this behind me I suddenly faced a road going 7% UPHILL for about 10 km. 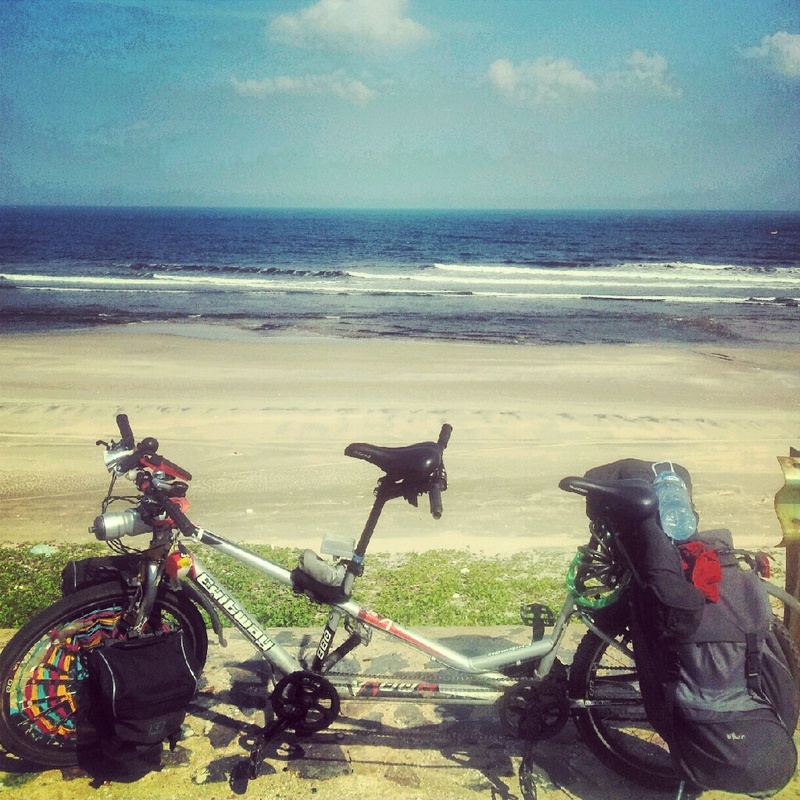 I switched to the lowest gear and kept pushing and pushing. I can tell you that I was very happy to reach the top since it was mid day and the sun was burning right on top of me. From there on it went all the way downhill to the AH1. I managed to set a new speed record of 62 km/h racing down. 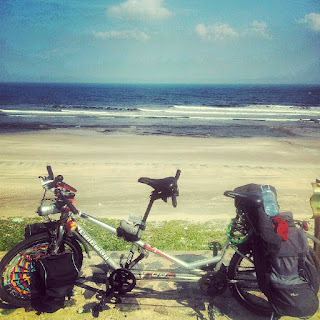 I stopped for a little break and food and did another 40 km to Thuy Phong where I found a place to sleep. The next day I had 150 km on my to do list so I just called it a day.